Veterinarians work in a niche industry, certainly, but like all other professionals they need proper liability cover. That’s vetProtect. Increasingly, vets are looking to vetProtect, underwritten by Hollard and offered exclusively by broker Leonie Delgado, of Leonie Delgado Platinum Portfolios, to cover them primarily against veterinary malpractice claims. While Leonie is based in Johannesburg, she boasts veterinary clients all over South Africa, and she’s always where the vets are – such as last week’s South African Equine Veterinary Association (SAEVA) 2016 Congress, which took place in East London from 14-18 February. The congress, which drew about 150 delegates, focused on SAEVA’s scientific programme and featured two high-profile international speakers: Professor Tom Stout, of the Netherlands, an authority on mare infertility and early embryonic development, and France-based Professor Michael Schramme, an expert large animal surgery, lameness and diagnostic imaging. Leonie ran a stand to promote vetProtect as South Africa’s leading veterinary liability insurance product. Apart from malpractice, it offers professional indemnity, public liability, products liability, employment practice liability, fidelity insurance, professional asset and personal asset cover, as well as cover for non-professional staff, locums and final-year veterinary students. 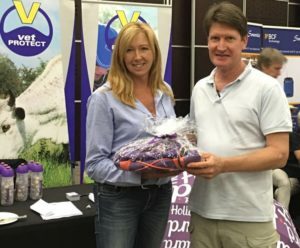 “I was there to promote awareness of the vetProtect product and brand, to reconnect with existing clients and, of course, to market for new business,” says Leonie. And the response from the veterinarians? In addition, one lucky vet – Dr Rob Crosley, of Crossroads Vet in KwaZulu-Natal – won a lucky draw for a hamper of branded goodies. Leonie is proud of the service she provides to veterinarian clients, and she is on hand at any time to assist them 24/7. Often a matter can be resolved before a claim is instituted but, regardless, “we walk all the way with them,” she says. “We get fantastic feedback from our clients – and others – about vetProtect,” she adds. 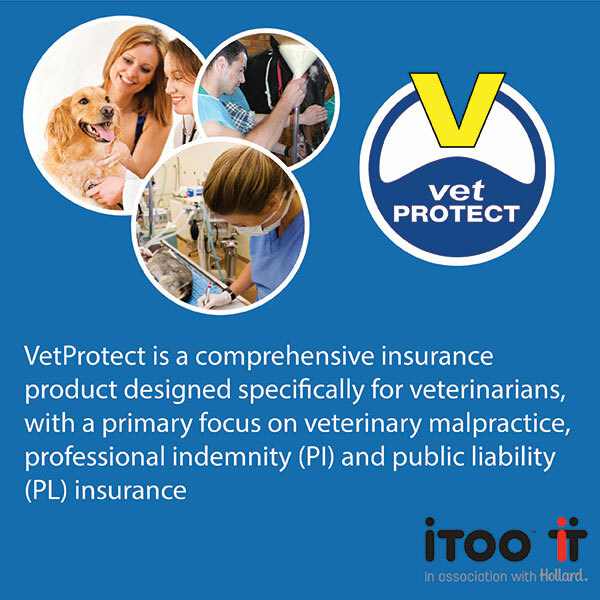 To find out more about vetProtect, visit the product website. To contact Leonie Delgado Platinum Portfolios, click here, and email Warwick Goldie, head of the Specialist Liabilities CoE, at warwickg@hollard.co.za.